Peg Alford Pursell writes, edits, teaches, builds literary community, publishes, and, in her own words, is an “all-around good egg.” Her first book, Show Her A Flower, A Bird, A Shadow was published in March 2017, then re-issued in September 2017. More on that in a moment. Pursell’s collection was named in Poets & Writers’ “5 Over 50” feature last December (alongside another of our featured Bloomers, Jimin Han), and more recently was a finalist for the Foreward Indies editors’ choice in the literary category. In Northern California where she lives, Peg founded and directs Why There Are Words (WTAW), a dynamic “national neighborhood of literary readings” that launched in 2010. She is also director and founder of WTAW Press, an independent publisher of literary books. Peg earned her MFA in Creative Writing from Warren Wilson College. Sonya Chung: Show Her a Flower, A Bird, A Shadow is a book that could too easily fall into the cracks of conventional publishing. And that almost happened. Tell us about the book’s road to publication. Peg Alford Pursell: The book was first published in March 2017 by ELJ Editions. Within 20 days, the publisher announced she was closing the business! She’d received a bad health diagnosis. Unfortunately, she wouldn’t allow anyone to take over or buy the catalogue. Within months my book had sold out completely. I had a book tour in NYC, Pittsburgh, etc. scheduled for September, including teaching the book at several universities. A couple other publishers offered to take over my book but would not be able to bring it out in time for my schedule of commitments. I decided, on the advice of several trusted others, to publish a second edition through WTAW Press, and did so early in September. I was squeamish about doing this second edition through my own press (very), but it truly was the absolute right decision. The book is selling very well, and is going into a third printing. I was able to make edits and experience more satisfaction with the work. Best of all, the proceeds from those sales are now able to benefit the press and enable me to do more to support other authors. So Show Her has become a bit like the little book that could! SC: I think our readers will really benefit from your story: this “orphaning” of books happens more often than one would think. It even happens, in various forms, at corporate publishers where there is so much personnel movement. Your resourcefulness and proactivity is exactly, I think, what writers need to see modeled. Turning now to the work itself: you’ve described Show Her a Flower, A Bird, A Shadow as “a collection of hybrid prose—compressed narratives that often focus on relationships and—to borrow a phrase from Antonya Nelson—the small wonders of the world.” You’ve also talked about “that mysterious way” that these short-form stories “insisted on their particular form.” I’d love to hear more about this form—whether labeled prose or poetry or “flash” or whatever. How did you come to it? PAP: I’ve always been drawn to the sound of language, and the short forms can draw upon language and sound to create their effects, including that of dramatic tension. As well, these shorter forms may invite the reader in, in a much more primary way than a longer form, such as a novel. With the compression inherent in the form is space for the reader’s participation with her own history and understandings. The short forms can even be thought of as dependent on that immersed engagement. SC: What else do you think this form can do/make happen that an unambiguous poem or short story can’t? PAP: I like to think that such forms allow for more complexity, a complexity that is more reflective of life—which doesn’t, can’t insist upon the binary, the unambiguous. Hybrid forms unsettle expectations, and that alone can carry its own dramatic imperative. If the traditional markers aren’t available, what might engage the reader’s attention? I like to think that reading works that blur boundaries can open us to appreciation for other less and non binary forms in the world. SC: What other authors/work in this vein have influenced you? PAP: I was an early reader, of fairy tales in particular, and I sense that that early reading has influenced my writing as much as anything. From those tales I perhaps internalized a certain kind of voice. The compression. I very much admire Noy Holland, Diane Williams, Nin Andrews, Diane Seuss, Christine Schutt, among many many others, so no doubt they’ve influenced me. SC: Tell us about your process: Do you know when you start that it will be short? Is there a longer version that you then pare down/ distill to essentials? PAP: My process for the very brief prose piece varies—widely. As I mentioned, I’m most drawn to the sound of language, and so very often it’s a phrase that comes to me, one I’m hearing in my head, that starts me writing. Yet also very often it’s an image. From these a character may rapidly come to me, so rapidly that it almost seems as if the character was first, but I don’t think so—I think a character comes to embody or dramatize or interpret the language or image. Unless I’m in the middle of a longer work—a more traditional length story or a novel—when I begin something new I assume it will be short, micro short, most likely because that’s the work that most interests me—the intensity of something brief on the page but that I have to go away from and carry with me to fully absorb (as much as is possible). It’s a different way of taking in narrative. For example, I take in a novel (most novels, that is) by continuous reading because of its more leisurely pace (for one thing). I don’t know where something will go, and allow it go where it will. If it wants to be longer, I follow it and see what happens. For months, years, as long as it takes. Sometimes when I return to a long piece, I can see that it’s meant to be short and can see how it’s meant to be distilled, and I do that. SC: Do you write in longer form? PAP: Yes, I do. I’ve published long stories in journals such as Permafrost, Soundings Review, Sugar Mule, etc., and I’ve been working on a novel for some time. The novel began as one told in stories, and many of those stories were quite long—think Alice Munro. SC: I’m interested in the movement between first and third person among these pieces. Interestingly, I read almost all of them as memoiristic, whether first or third person; but a handful read as more fictional, also both first and third person. Talk about how first/third person and autobiography corresponded or not for you when writing these. PAP: The inescapable autobiography question! I take it as a compliment, though, because the implication is that I’m able to move you, the reader, with a psychological depth and/or verisimilitude of emotion to the extent that it appears I’m writing autobiography. Whether first or third person, the answer is the same, autobiography plays its part obliquely. That is, it’s impossible not to imbue any written piece with something of oneself—after all, the piece is coming through the writer: the writer is the filter. What captures my attention and the way it captures my attention won’t be the same for anyone else. Of course. There are a range of ways in which more of myself, as I consciously know my self to be, may find its way into my writing. For example, in the story “Celestial Bodies” a female narrator has an older brother who is somewhat of a Romeo, and I in fact had an older brother who was a Romeo when I was growing up, so while nothing else in that story has its origins in my personal experience, the ways in which the fact of how my experience growing up was affected by the way my older brother was in the world has everything to do with my creating the tonality of the piece—and with writing the piece itself. More often than not, certain experiences, fears, wishes, hopes and dreams of my life are translated into other events and characters, such as in the case of “The Girl and the Stone.” When I was a young girl, there was a boy in my neighborhood who was a bully and though he’d never directly hurt me, I feared that he might; a few years back, I remembered him back and wondered whatever became of him; I imagined him to have had to become someone who necessarily had to forget what he’d done—in the story, felling the girl with a rock—though in reality, I don’t know that he ever did that. SC: I am indeed impressed with your ability to inhabit a voice in a way that feels absolutely like a person speaking from direct experience. There is also an emotional coherence to the collection. “Fragmentation”—a 90-word story—speaks of “broken living beings awash in their own weeping juices, working to create themselves, vulnerable and having to hide until they could become whole again.” When I came to it, a little past halfway through the book, it felt like a confirmation of everything I’d been reading until then. Was this your intention—for the story to somehow emotionally thematize the collection? PAP: I did place that story where it is in the sequence for the reason you intuited, and also, the placement seemed right in how it worked following the piece that preceded it and the one that followed, both of which are longer, more traditional flash fiction stories. (“An Arrangement” and “A Worn Sock.”) The sequencing of the pieces in the book depend on rhythm as one of its components. SC: Say more about your process of sequencing—what effects/readerly experience you hoped for in ordering them as you did. PAP: I wanted for the reader to be unable to breeze through the book. Each miniature, in its compression, occupies weighty thematic intentions, and by way of its focused attention, makes those intentions feel incredibly forceful. Each is meant to be intense. Placing the pieces together intensifies the effects, so that the reader has to step away before going on. Yet, I also ordered the book so that there are “breaks” built in for the reader, using stories with humor, lightness, and play (for example, “A Worn Sock”) in specific places where they might allow for some pause. I sequenced pieces according to a recasting of motifs, of language, of ideas that work to create other effects, often playful and pleasurable, as in the experience of finding a puzzle piece that fits when putting together a jigsaw, maybe where you least expect it. SC: There are in fact a handful of stories that focus on a sock! I love this. Tell us about what socks mean to you. SC: Speaking of natural beauty, many of the stories take place in an interior domestic space, then open up, for better or worse, onto an exterior view or vision, often through a window. Tell us about this relationship between indoor and outdoor, domestic life and nature, as it incarnates your stories’ meanings. PAP: We see and experience ourselves within a larger context, but often we can forget that. The interior doesn’t match the exterior, even for those who strive and make it a practice to lay themselves bare. Our consciousness is a gift, of course, but a trap, too. A very simple example is how people who’ve lived together a long time imagine their partner to know what the other is thinking and or feeling. We all know better, but we do it all the same, and part of that can be an extension of the important need for our minds to be able to take for granted some certain “basics”—so we tell ourselves! But seriously, for another example, we need a daisy to be a daisy, a wren to be a wren, to be able to function, to do all that we need to do; we can’t possibly re-experience what the daisy is, its “daisy-ness” each time that we come across a daisy. Dramatic intention in many of the pieces in this book arises from placing characters into the larger context. SC: One story that involves a character looking out the window is “I Should Let You Go,” about a young woman who is uneasy in her marriage even when nothing is wrong (“They had no real problems”). This piece seems to speak to a kind of essential state of incompletion and precariousness. Is this a world view that drives your creative vision? PAP: I do very much believe that anything can happen anytime. This is the reality. Anything else is an illusion. Today’s political and cultural climates make very clear the role of luck and the illusions that hard work, a good heart, innocence guarantee safety, even for those who’ve had the “great” fortune of having been born a white male. Yet, setting that aside, nothing is guaranteed in this life other than a person will breathe until she doesn’t. SC: No guarantees, indeed. And on that note, our readers are interested in the “zig-zag journey” to later-life publication. What were some of your obstacles and triumphs along the way? PAP: I grew up in a small town—one that never had a book store and now most likely never will— knowing no one who wrote as a matter of course. I’d never been to a literary reading. As a result, perhaps, I didn’t take my writing seriously until later in life and was in my late thirties when I sought entry into the then unconventional MFA writing program, Warren Wilson, the first low-residency program. I was a single mother who taught in the public education system, and stole spare moments, usually in summer, to write. And though I’d entered and won a prestigious short story contest, I still didn’t understand my need to write nor to publish, as the necessary completion of the creative act. It also happened that I met my now husband at the MFA program, and though we were one another’s first and best readers, we didn’t have enough understanding about how our writing selves could flourish as well as our relationship. Writing got sidelined while so many family traumas and dramas “flourished” instead. It’s only been in recent years I returned to my creative work, insisting on the necessity, fighting seemingly insurmountable doubt and odds. I’m thankful for whatever part of myself persisted. It’s often other parts of ourselves that hold us back, that create certain storylines. I consciously decided to take my creative side seriously. I found a group of readers. I sent work out. I kept at it and published more and more, with setbacks along the way. I began to comprehend that setbacks were part of the process, something I hadn’t understood before. I perhaps expected things to come too easily. I went back into teaching writing to others and that close study benefited me immensely; when I said to my students that we’re all in this together, it was true. I felt that I needed to show them that it’s never too late and that to persevere is essential (with publishing) but more than anything else, to honor one’s creative side is the most important thing. SC: WTAW has expanded beyond readings and community to publishing its own titles. What prompted you to get into the business of independent publishing? What are you seeing in the publishing landscape that you are concerned about or hopeful about? PAP: Through the reading series I founded in 2010, my experiences with writers, emerging to well-published, unknown and well-known, spurred the launch of this press. I grew more familiar with—and more disturbed by—the fact that writers with compelling voices and necessary stories to share had so much difficulty gleaning serious consideration by the corporate publishing industry. My belief is that books serve as a collective soul, a memory bank, for the culture, and that they must reflect all our culture’s stories—not simply the ones that hit the projected corporate return on investment. Quite simply, I felt that I needed to do something and spent a couple years learning everything I could about the independent publishing world, finding out what I could from other publishers, and mapping out a plan. I wanted to be certain that I could be a publisher able to fully support authors, one that didn’t close its doors a few years in. I launched WTAW Press and published our first books in 2017—books that I’m very proud of and that are doing very well, having been nominated for prizes and listed on our distributor’s bestselling lists, to name two indicators. I’m optimistic about the future of independent publishing. It seems to me that because indies don’t have to focus on the bottom line as do corporate publishers, the most exciting, moving books are those brought out by the small publishers, who can and do take risks. As the small presses Bellevue and Four Way Books have demonstrated in publishing Pulitzer Prize-winning books, winning major awards are no longer the sole province of the corporate houses. SC: What advice do you have for later-blooming writers? PAP: It depends on the writer’s aims, of course. 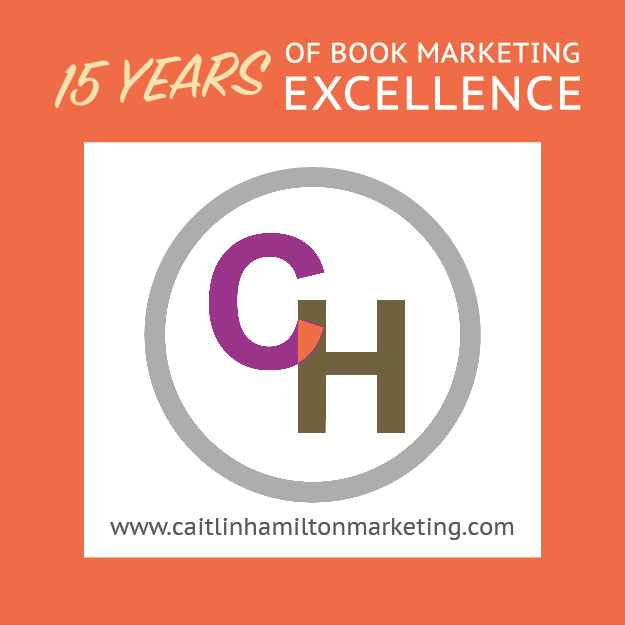 Is the goal book publishing? Is it personal satisfaction, part of a perceived spiritual practice or the like? In general, some advice remains the same: read and write and write. And read and write. But also asking oneself what you are willing to sacrifice for writing. By now it’s essential to realize that it’s impossible to have it all, and that choosing to spend time doing one thing means not doing another. It’s surprising how many people fall under the spell of magical thinking when it comes to writing and publishing, that somehow these activities require no sacrifices, when in fact, it’s very much the opposite. I advise understanding that the process is the thing. That is, you must love the process of writing, because there are absolutely no guarantees that you will ever publish anything. How willing are you to work and work on a manuscript that may never be published? Yet, if you read and read and write and write and write, and you do your best to participate in and develop literary communities and to learn as much as you can about writing through mentorships and workshops and exchanging writing for feedback, if you make this your focus, you will find your way: I do believe that. Respect your process and push through the self-doubts that all art-makers experience, never stop. Sonya Chung is the author of the novels The Loved Ones and Long for This World. She is a staff writer for The Millions and founding editor of Bloom. 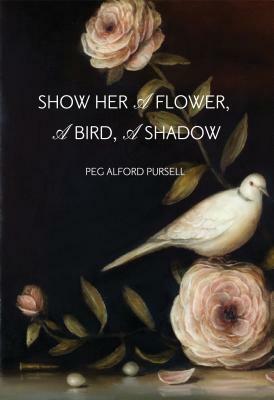 Tags: Foreward Indies Finalist, Peg Alford Pursell, Show Her A Flower A Bird A Shadow, Why There Are Words Press. Bookmark the permalink.